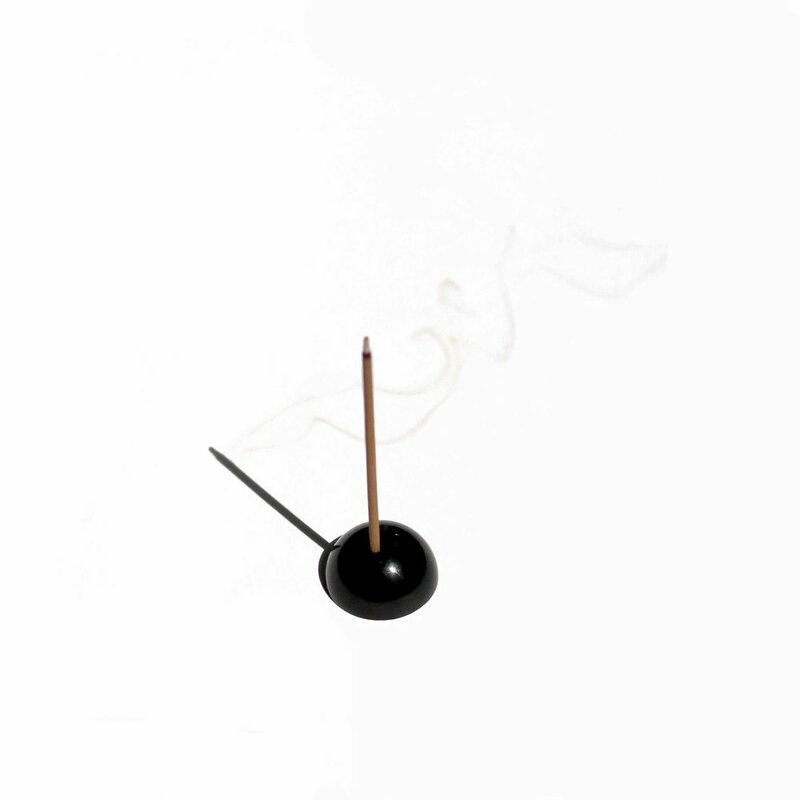 We use pure plant material in our incense sticks - no essential oils, no bamboo core, no perfumes or chemicals here. The herbs used are sourced from diverse parts of this planet: South East Asia, Indonesia, Korea, China, Tibet, as well as Europe, South America and Arabia. The exact composition of these fragrant masterpieces often take years to achieve. No batch can be ever the same due to the fluctuating climate, which effects growing conditions of the plants used. When sourcing our materials we are dedicated to seeking out artisans and independent businesses for the finest quality herbs, materials, practices. We seek the cleanest, purest plant materials out there and design and hand package everything from our London studio. We hand-make our own stoneware incense holders in-house using environmentally friendly organic materials, clays, glazes and firing techniques.